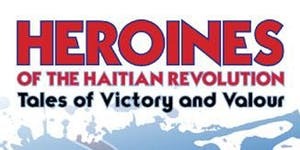 HEROINES OF THE HAITIAN REVOLUTION: Tales of Victory and Valour by: Christine Ru Pert-em-Hru. In her newly published work (after many years of research into the history of Ayiti/Haiti, its people and the revolution of 1804), Christine Ru Pert-em-Hru presents a compelling story outlining the magnificent contributions which the African women of Haiti made in order to make it the first African country outside the continent to take back its freedom from the western European superpowers of that time. A discussion on where we go from here to ensure that there is a Full Amnesty, that those who have been deported be brought back immediately at no cost to themselves, that those denied the right of return, or denied medical treatment, or lost their jobs, homes or pension rights, be given full reinstatement and compensation. In the meantime, there should be full access to NHS services.